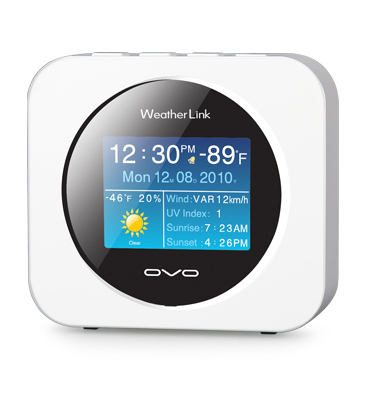 A real-time online weather station for kitchen, living room, and night table,...etc. ■ This is a weather station, an alarm clock, and a digital photo player. (internet connection enabled) through signal transmitter and receiver. pressure, and 3 days forecast.